The customer in question was a football fan who had ordered two sets of headphones from Flipkart to watch the ongoing FIFA matches without disturbing his family. But when the package arrived, it only contained a bottle of oil. 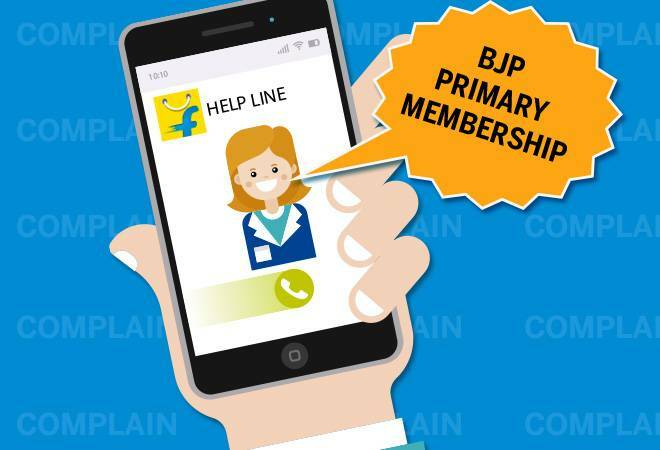 An irate Flipkart customer in Kolkata, calling in to complain about a wrong delivery, reportedly got patched through to a BJP helpline number and bagged himself a primary membership to the ruling party in the bargain. According to NDTV, the customer in question was a football fan who had ordered two sets of headphones from Flipkart to watch the ongoing FIFA matches without disturbing his family. But when the package arrived, it only contained a bottle of oil. He then immediately dialled the helpline number printed on the package to complain but the call was disconnected after one ring. The customer then received a text message saying "Welcome to BJP" and offered him a "primary membership number". It wasn't a fluke coincidence either. Multiple attempts, not just by him but by his friends as well, met the same fate. He finally found Flipkart's correct customer care number online and made his complaint, where the executive at the other end claimed to have no knowledge about the number printed on the package. The following morning, the etailer reportedly again reached out to the customer saying, "Please use the oil sent to you accidentally. Or throw it away. We are sending you the headphones. Sadly, we have only one pair at the moment. We can only give that one. We will refund your money for the other set". The report added that Flipkart in its statement claimed that the number on the package was an old one that it had surrendered three years ago. "The phone company must have just re-allotted the number, as is done when a number has been surrendered and there is no activity for six months," the company told NDTV. But that old number was printed on tape used for packing and the above confusion was caused because some of the old packaging tape was apparently still out there, it added. The customer is now reportedly watching FIFA on mute. As for the bottle of oil, it sits in his cupboard shelf awaiting written assurance from Flipkart management that they will not ask for it to be returned at a later date.